The average landlord in South Korea owed 200 million won (US$176,000) to financial institutions last year, a central bank report showed today. 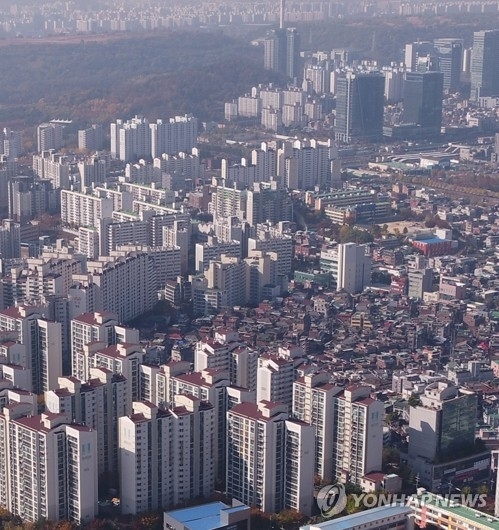 According to the Financial Stability Report submitted by the Bank of Korea to parliament, the total financial debt of households that lease homes and commercial buildings reached 372.4 trillion won as of 2018, Yonhap reports. With the number of such households estimated at 3.28 million, a landlord had an average 190 million won in debt, while those who have no extra houses to let owed 70 million won on average. The report said their so-called debt service ratio was 40.8 percent last year, much higher than 28.4 percent of households without property rented out. The debt service ratios can be used as a barometer of risky household loans, and measures how much a borrower has to pay in principal and interest payments in proportion to his or her yearly income. The rate of their financial debt to financial assets reached 106 percent, compared with a ratio of 0.9 percent for non-lease givers. The central bank said the landlords have enough assets to pay off their outstanding debt but may face a liquidity shortage as the portion of their financial debt is high. South Korea's massive household debt has become a most pressing issue as the total surpassed the 1,500 trillion-won mark last year on the back of the government-spurred real estate boom.